By Guest Writer on October 17, 2012 | Comments Off on How Can We Make Cloud Solutions Relevant in the Offline World? I am Amos Cruz and below are my thoughts around a recent Technology Salon on “How Can We Make ‘Cloud’ Solutions Relevant in the Offline World” with a cohort of though leaders and decision makers in information technology and international development. The perception of the “cloud” will vary greatly depending on who you ask. Like actual clouds in the sky, the clouds vary by shape, composition, and behavior. The “cloud,” at its most fundamental level, refers to a collection of one or more servers that host data and/or applications that users access through the “window” that is their computing device. The primary benefit of the “cloud” is a reduced burden (and responsibility) placed on the user machine for processing and provisioning of information. Additionally, advancements in virtualization and bandwidth capacity increased utilization, processing power, and versatility of hosted data server leading to cloud formations around the world. Despite rapid developments over the past five years, the essence of “cloud” has been around much longer in the form of hosted information located on websites, blogs, and email services. 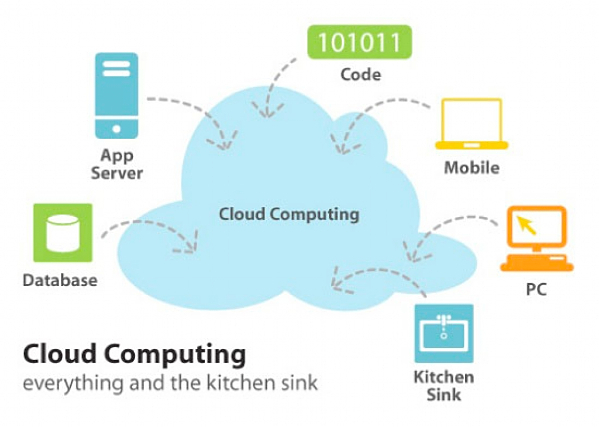 The emergence of “cloud” in current technical discussion and commercial reference has been a means of packaging possibilities and potential associated with big data and high speed connectivity. Collaboration was always possible, only now things happen faster and are more accessible. This is the world that many of us live and breathe as we look out of our “windows” at the clouds of data all around us. But, metaphorically speaking, there are places where the weather is anything but predictable and where clouds in the sky are few and far between. Countless factors influence weather patterns and, to the extent that every location is different, the weather will always be local and require appropriate accommodations. This Technology Salon conversation explored ways to make the benefits of cloud more accessible in areas where “clouds” formed sporadically at best. Discussion ranged from appropriate use of information, approaches to socializing data, and the role of intermediaries and informediaries in realizing the benefits of cloud for various groups. Ultimately, looming over the discussion was the challenge of reconciling the clash between the aspects of the international development sector business model and the collaborative potential of open data that the “cloud” enables. The discussion highlighted the challenges and differences between (and within) two different stakeholder groups. The first group consists of communities that would use applications and information based in cloud based technology. The second group consists of the intermediaries (and infomediaries) gathering, analyzing, and providing information and resources to both local and global communities. Regardless of whether the cloud instance is hosting data or applications, the larger question centers on how to realize the possibilities of cloud in the lives of target beneficiaries. The difference in capabilities and intentions inherent to the beneficiary groups pose a challenge to making cloud relevant and, eventually, more prevalent in lesser developed countries. The real work lies in bridging the gap between communities and the very technology that the intermediary groups believe could improve their lives. Some will point out that, within target communities, there isn’t the requisite education available to utilize the information and applications provisioned by the aid community. This isn’t a new observation and is a reality that organizations deal with to varying levels of success. Educational, along with infrastructural, economic, social and political conditions can create huge divides between beneficiaries and intermediaries. Ultimately, what could happen (and in some cases does) is that international organizations and government agencies produce answers to questions that completely miss the target on the ground. Putting information access into context and making data sensitive to existing social norms and resources is vital to realizing technological capabilities. The reality for many countries is that infrastructure is inconsistent and the absence of electricity undermines interconnectivity, which in turn breaks up the “cloud.” This reality begs the question “Is the cloud still valuable if it is not available 24/7?” The obvious answer is that it “depends.” Resource restraints force one to think of the best solution given the circumstance. In areas where internet is limited by cost or infrastructure, partially online services and hub-and-spoke implementations are ways that mitigate some of the risk factors and restraints. eGranary is as an example of how content, that might otherwise sit on the cloud, can be brought off-line in areas that lack internet access. It is not “cloud” as we have come to know it, but it is a solution. A benefit of cloud computing is the open data initiative that fosters collaboration and information sharing. Whereas information was traditionally siloed in local storage devices and networks, cloud data presents an opportunity for more groups to share data and perform value-added activities to that information. The national weather service is an open data success story where open access to government provisioned scientific data provided an opportunity for websites and application developers to produce value-added services and products built upon that open data. Indeed, in theory, international organizations and their government partners could develop more informed solutions. However, open data and cloud computing must still overcome a few challenges. The ease of access that characterizes open data on the cloud requires a paradigm shift from a focus on owning data, instead to a focus on using data. Organizations whose value-proposition comes from the acquisition and possession of specific knowledge and data will be reluctant to open their data if it reduces its competitive advantage over other organizations. However, as information becomes increasingly available, organizations will need to reinvent themselves around the use of data rather than its possession. To communities on the ground, they will directly realize the benefit of the cloud as infrastructure progresses and the local conditions allow acquisition and adoption of technologies aligned with their everyday activities. What results may not be the cloud as “we” know it, but rather reflect the “local weather” be it in the form of partially on-line systems or manually synchronized data networks. Indirectly, communities will realize (or not realize) the benefit of cloud as government agencies shape policies affecting the flow of information into the environment. There will be obvious differences in governance that may pose challenges to how information is accessed, but this has always been a risk factor for information access. Another benefit may come from the international development sector. As development organizations spend less time gathering data, they will be able to spend more time using the data to develop successful projects. And that would be the best weather prediction we could ask for.